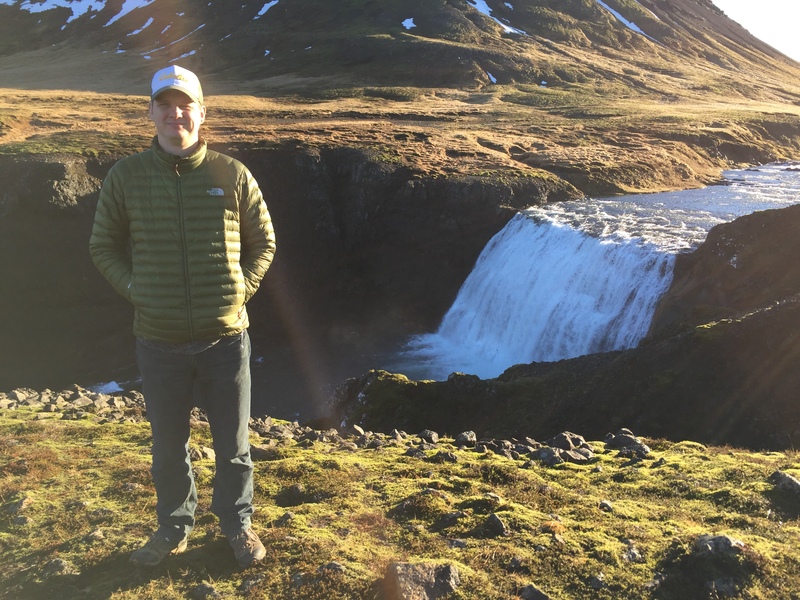 We had only booked one tour bus day trip excursion for the duration of our Iceland trip, and because we are who we are, it was a Game of Thrones shooting location tour. Almost all of the regulars from our yearly GoT Marathon were on the Iceland trip, so it made perfect sense. We took a quick shuttle ride to the bus terminal, where we boarded a giant touring bus. Having no idea of what to expect, we were surprised by the amount of people who had signed up; the bus was nearly filled to capacity with people of all nationalities, ranging in ages from twenty-somethings to an unexpected amount of elderly Thrones fans. “Winter is coming” t-shirts were spotted throughout the crowd. Our tour guide reminded me of an Icelandic Simon Pegg. He kicked off the tour by introducing his two young sons, who were tagging along for the day. All three family members wore Star Wars t-shirts. The bus ventured out of the city and rumbled along gravel country roads until we arrived at… the exact same horse farm I had visited the day before, ha. One of the stablehands had a black Iceland horse waiting for us in the paddock, which we could pet and take photos with. The horse had been featured in an episode, so we were meeting our first GoT celeb. 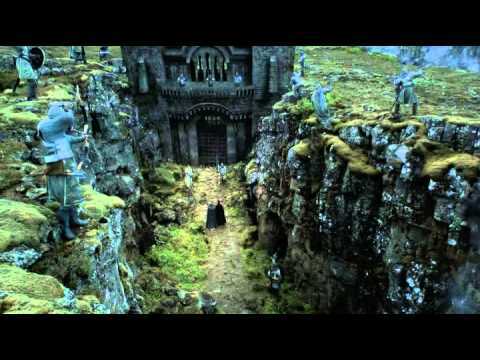 We learned that the scenes at Castle Black are filmed in Ireland, but scenes North of the Wall are in Iceland. Keep an eye on the horses while watching the show; Irish horses are taller than Icelandic horses, so if Jon Snow’s horse seems to experience shrinkage issues, it’s because they switched up shooting locations. 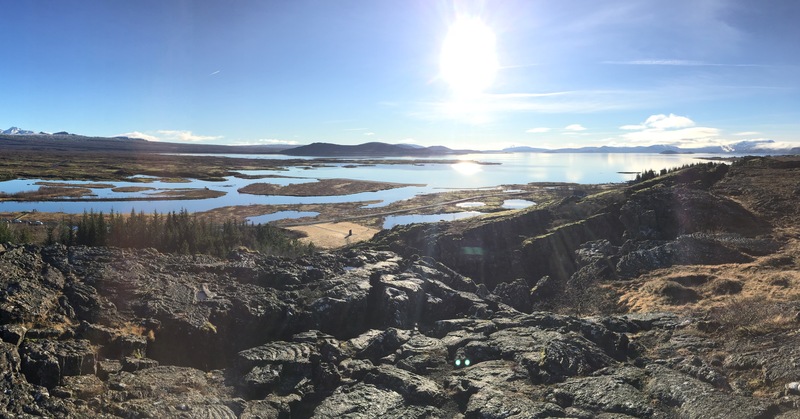 Þingvellir National Park is part of the Golden Circle and a popular tourist stop for the excellent reason that it is majestically, stunningly beautiful. It’s also the location for the path to the Eyrie and the Bloody Gate. 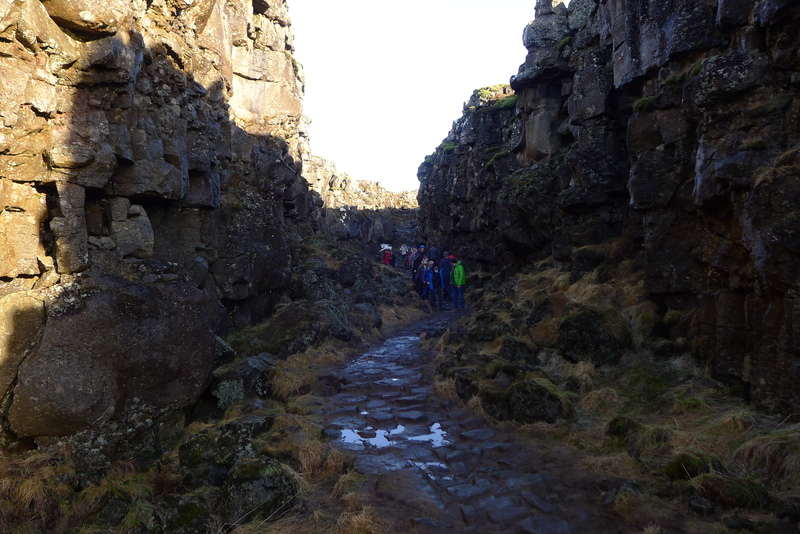 IRL, the canyon between opposing walls of mossy rocks is the spot where the North American and Eurasian tectonic plates separate. There’s also random waterfalls because Iceland. We spent a lot of time in this gorgeous spot, taking photos and enjoying a rare February moment of bright sunshine. After boarding the bus again, we traveled a winding road through the park and saw other spots where some wildling camp scenes were filmed. The trails had been closed off to preserve the natural landscape, so we had to view it from the road. The next stop was an hour’s drive away, but first we had a lunch break at a small diner attached to a convenience store, where I had one of the best burgers of my life (no joke) (also, I might have just been really, really hungry). The final stop of the tour was a settlement-era Viking lodge in Þjórsárdalur Valley. In the show, the location doubled as a village ravaged by Thenns. You will recall this as the scene in which Ollie’s parents are killed by the tribe of cannibals. I love a tour where the guide says “This is the location of the human sacrifice.” He carried along laminated stills from the show at each stop, and I took a photo of one in front of the location to compare. He also was excited to tell us that his good friend appeared as an extra on the show, and brought along a screenshot of his buddy in full costume alongside Tormund Giantsbane. After the tour wrapped up, we had an hour-long bus ride back to the city. My only wish was for more behind-the-scenes tidbits and juicy gossip, though I did appreciate the tour guide’s local observations, such as when he ripped on the town of Selfoss for being “famous for dairy production and their love of cheesy techno.” He also waxed rhapsodic about the romance between the actors who play Jon Snow and Ygritte, offering up their relationship as consolation for the breakup of Tom Cruise and Katie Holmes (the couple famously split up right after Katie visited Tom on the Icelandic set of his movie Oblivion). That evening back in Reykjavík, we had our last dinner together as a group at Sægreifinn, which I had heard about from the Iceland episode of a now-canceled travel show that our group used to love called Three Sheets. The lobster soup lived up to our expectations.The night ended with a few rounds of beer at Bryggjan Brugghús, Iceland’s first microbrewery, then it was back to the Airbnb for one final night (insert all the crying face emoji). ← Iceland Diaries: OMG! Ponies! 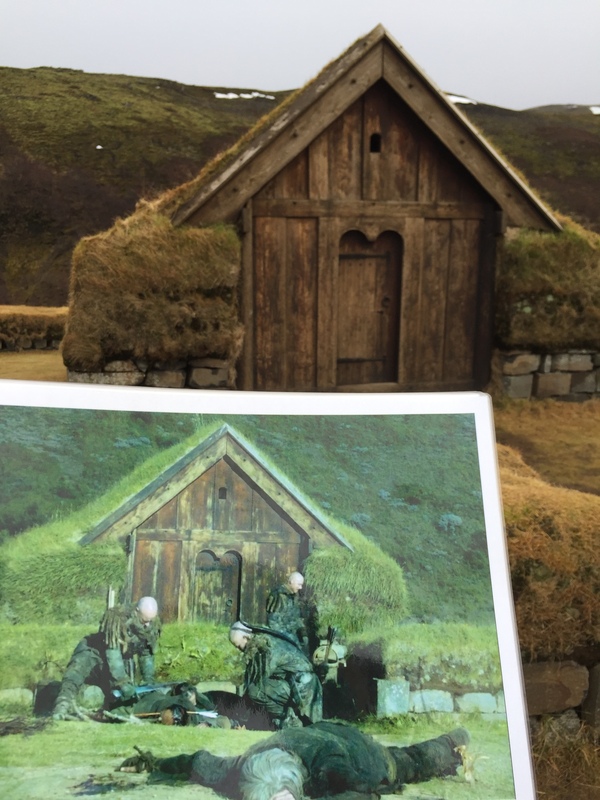 I wish I’d known before I visited that GOT was partly filmed in Iceland…I would have loved to have done the tour! Will definitely have to fit it in next time I visit!